Indigo came from Moscow. On pedigree Indie is the great-grandson of our first our stud Belly Dance Ivar. The cat has an excellent stress-resistant character, passed on to his children. In our cattery remained daughters Indigo. And the cat went to Finland in a friendly cattery, Siamese continue to improve the livestock breed. 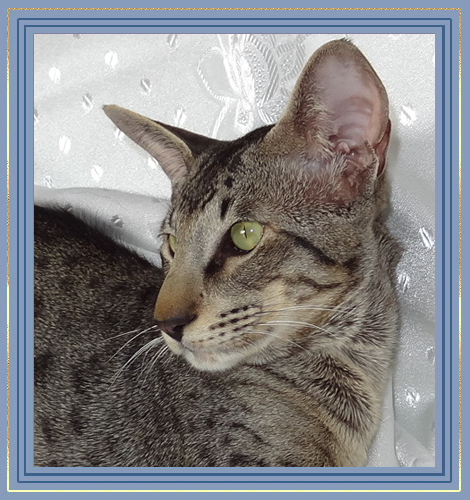 Сaesar is handsome bicolor oriental cat. He is kind and talkative. His children are beautiful and breed kittens. His son Exclusive stay in cattery to continue the father race. Before castration he mooved into the new home and made friend with tree noble breed cat and little dog. (ALJANDA * RU cattery (breeder Vladimir Saibel). We are grateful to Vladimir for the trust . 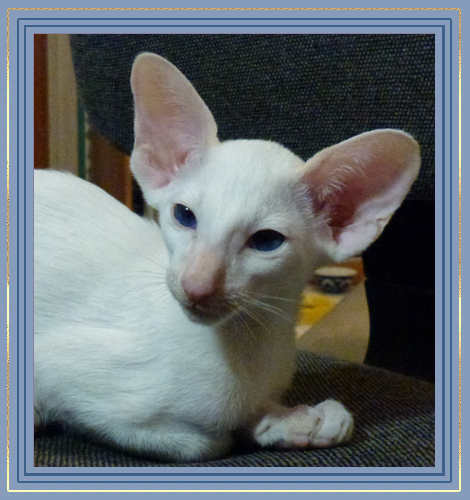 Neo was born in our cattery, was left to work in the program with Seychelles (Siamese bicolored) . Removed of planned breeding. Neo's character is special. He is not running at breakneck speed, meet and kiss. His trust must be earned. But making friends with him, get sea sincere love, trust, a true friend. What really wish the new owner Anne from Vladivostok. 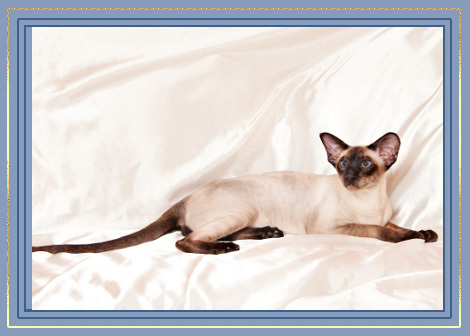 Lambi - irresistible Siamese handsome man with black points, came to us from St. Petersburg. In the pedigree of Lambi known nursery producers from Finland, beautiful genotype and a great friendly character is transmitted to children cat. 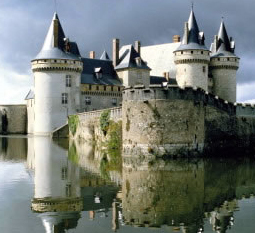 To our great regret, derived from breeding due to health problems. Madiyar graduate of our kennel. We would like to see him in the kennel brid.programme to obtain tabbirovannyh kittens. But sometimes plans can change! We Madiyar calm, balanced character, very attached to owner Galina. Resident of Khabarovsk. Ivar - the first bi-color cat in our cattery. I came from Ukraine. It has an excellent stress nature, and transmits it to their children. On retirement he settled in the new family, became a good friend Don sphinx Chipik and a favorite son new owner Svetlana.